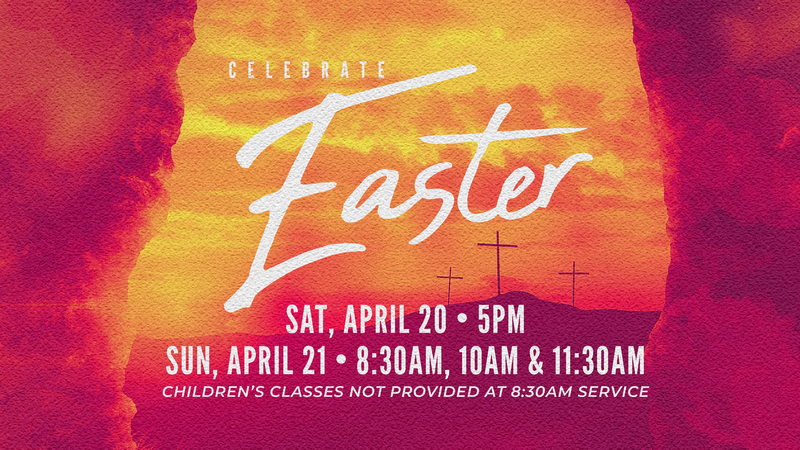 Join us Easter weekend for a time of worship and celebration of our Savior! – Sunday at 8:30, 10, & 11:30am. Children’s classes are available at the 5pm, 10, & 11:30am services.